The New Year is the perfect time to find things that inspire you to do great things! This can be in your career or business, in your family life, fitness/weight loss goals or anything you want to get better in your life. 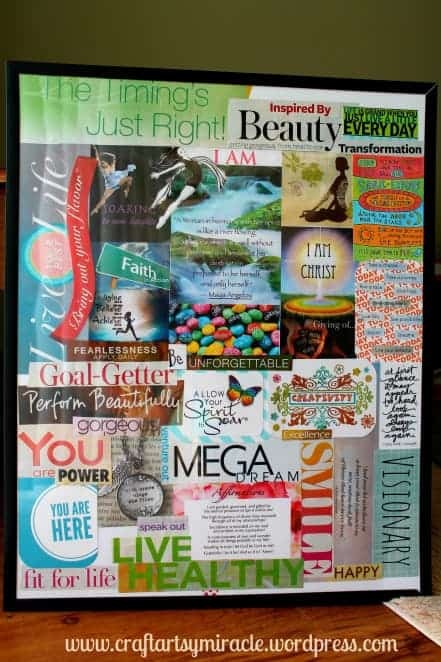 Vision Boards are a great way to do that. I love the fact they are visual and you can decorate them any way you like. 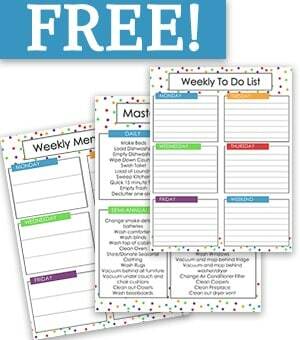 They are great to put somewhere where you will see them daily so they can inspire you. I have found some amazing ideas on the web. 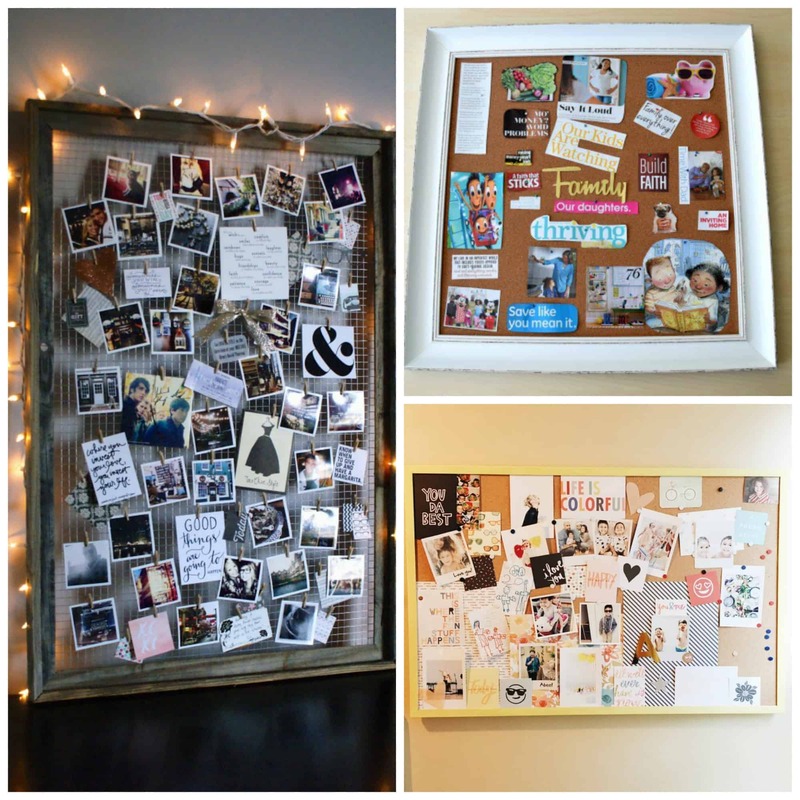 These ladies are creative and inspiring and these are fun to see! I love the size of this one! 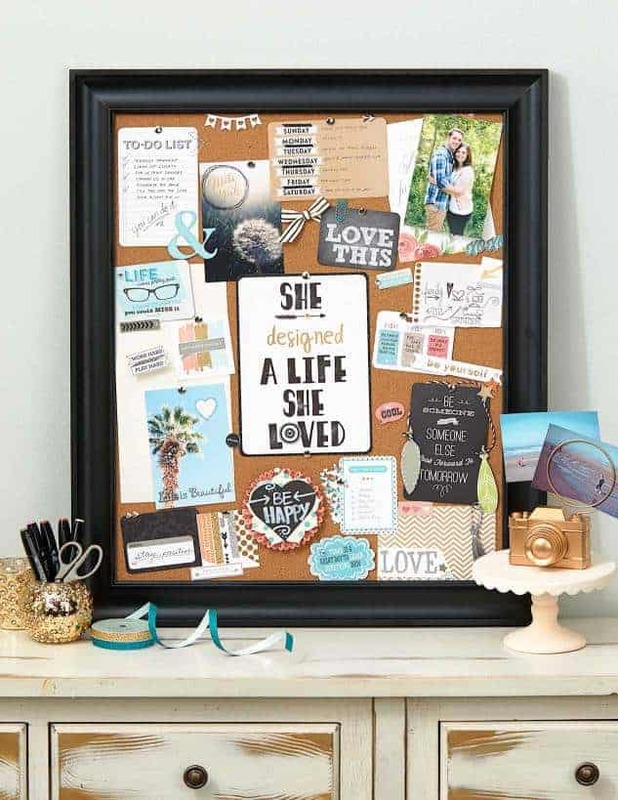 It would be perfect in a hallway or large office. 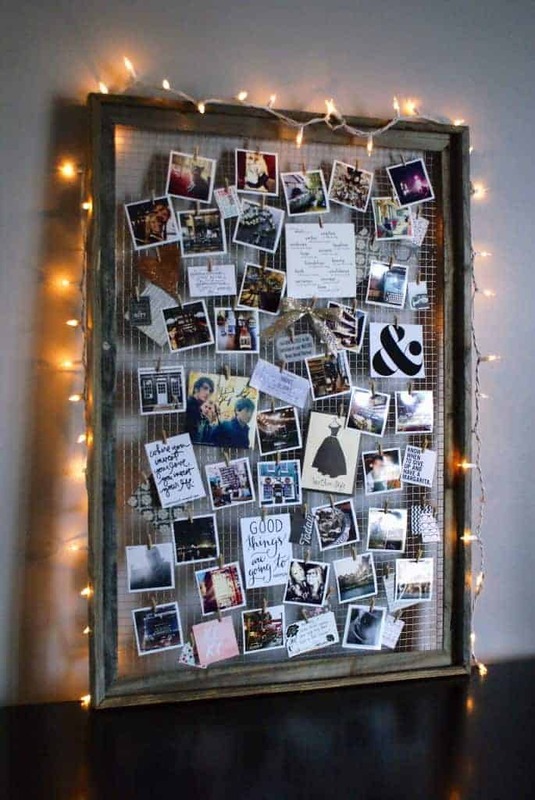 It is beautiful and I could see adding many things to it. I love this one. 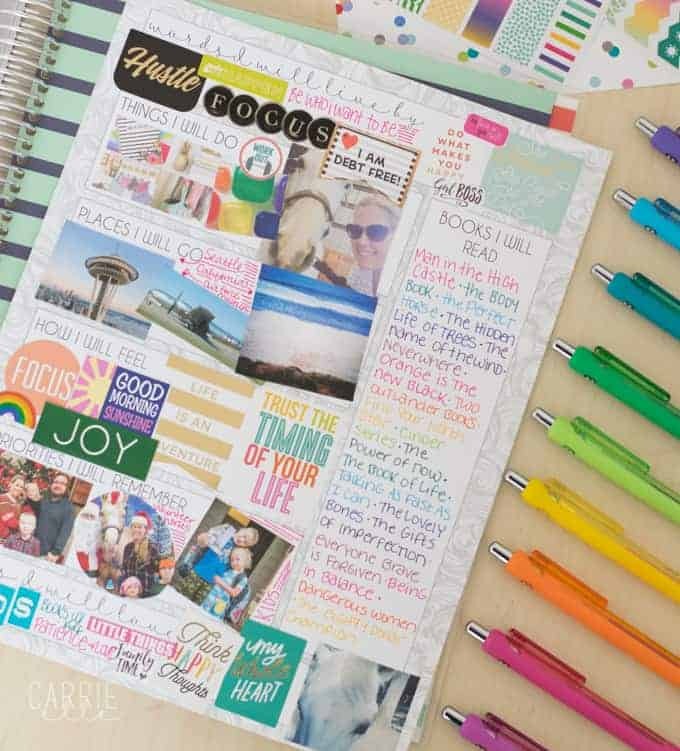 It looks like a scrapbook page and you could do something like this to add to a notebook. 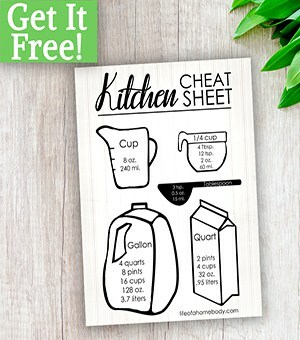 She even gives you a free printable template to print out. I love anything with lights and I just love how this one looks! It is charming and beautiful and would look great in any room. This is a fabulous idea! 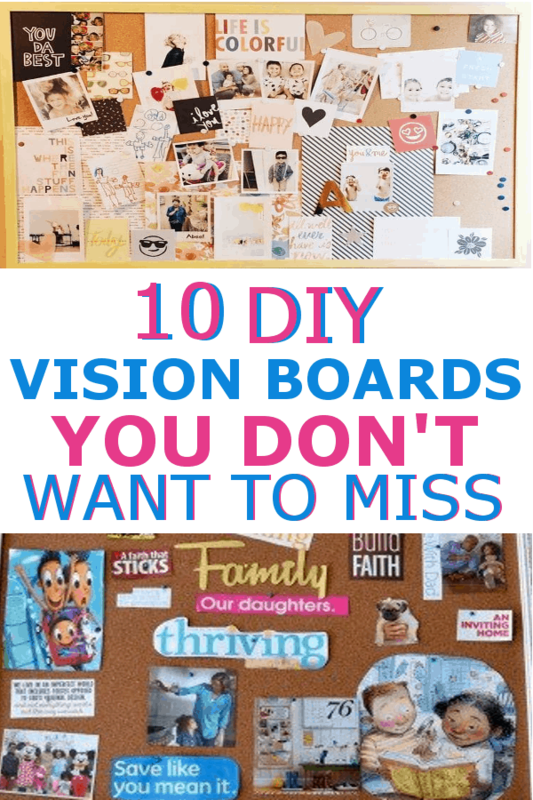 You can start a vision board for the whole family! This would be a great place for your family to dream together. Vacations you want to take, health goals you want to meet and new things you want to try. 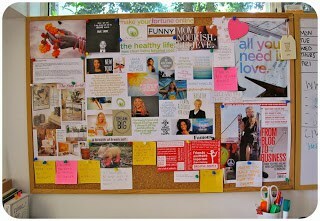 Elana has a great post showing you exactly how to put together a Vision Board. We all have dreams and of course, we want them to come true. 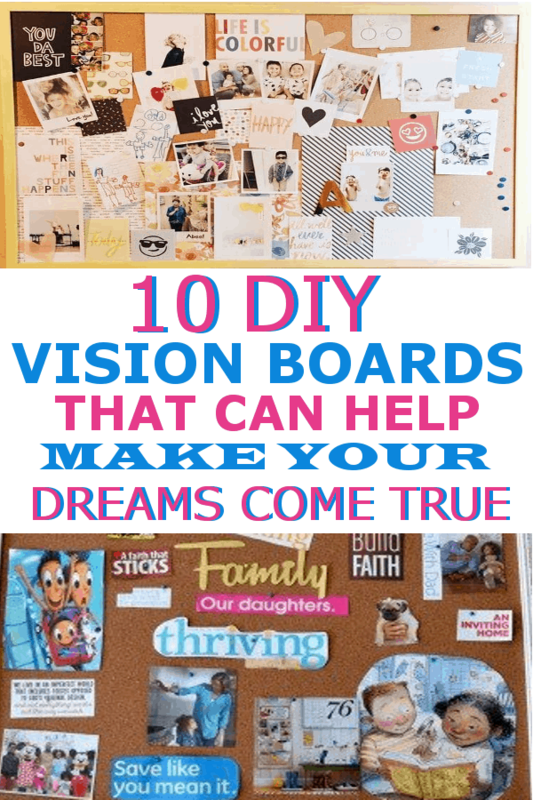 This is a great post on how to use the vision board to make those dreams happen. 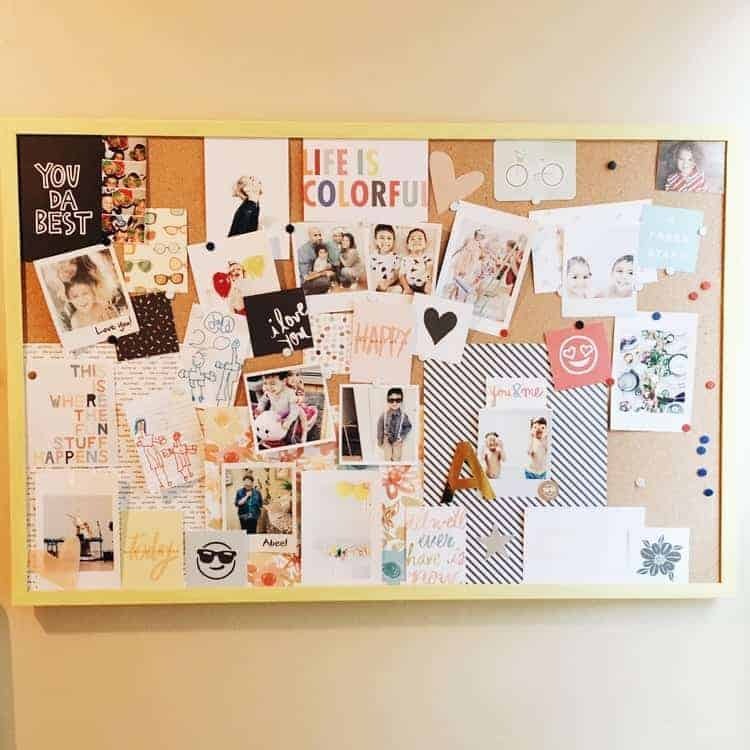 She shows you how to display images, words, and objects that represent what you want to be and do with your life in one beautiful, central location. 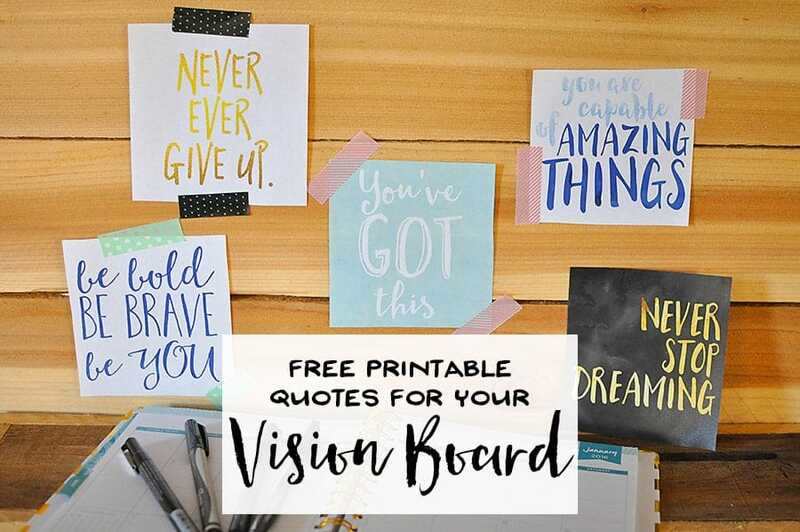 Free Printable quotes for your Vision Board, you don’t want to miss these. Head over and grab yours. 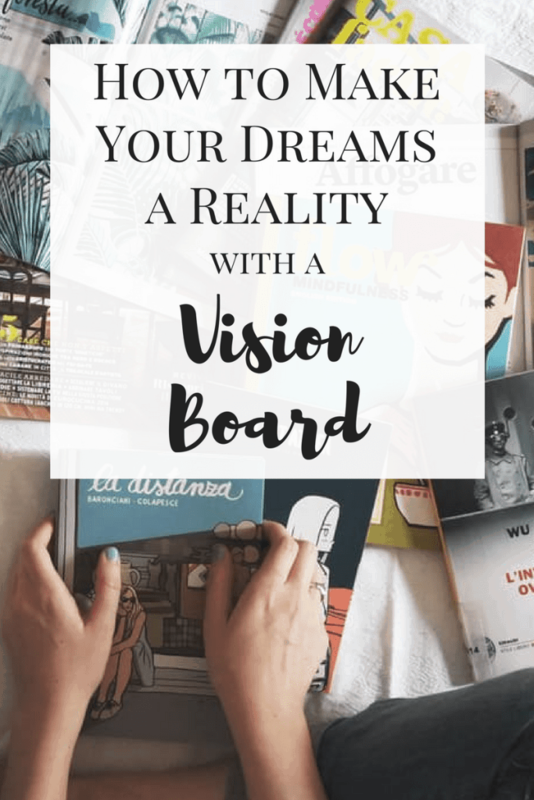 Another post on how to create a vision board for yourself! 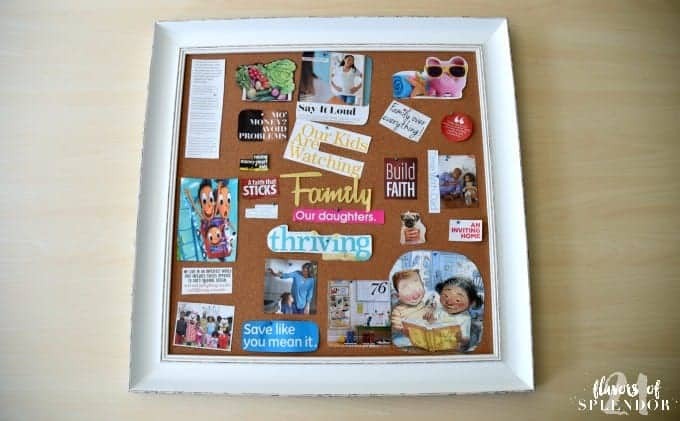 I love how this board looks! It is very visual and looks easy to put together. I like the fact you don’t need expensive supplies to put this one together. 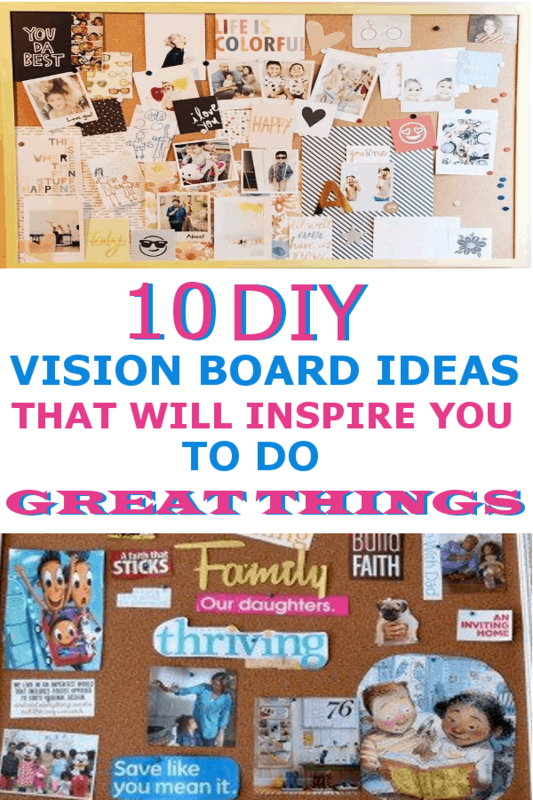 Hope you enjoy these great vision boards. 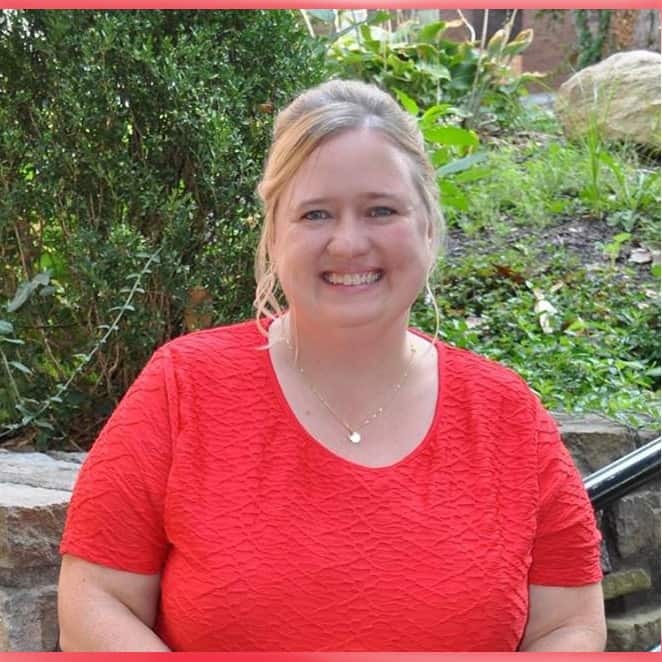 Let me know if you create one, I would love to hear about it! WANT TO REMEMBER THIS? 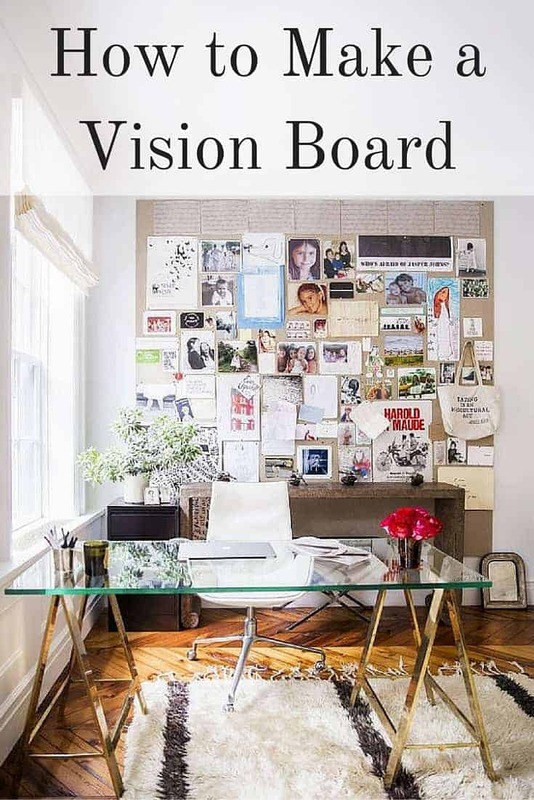 SAVE THIS VISION BOARD LIST TO YOUR HOME DECOR PINTEREST BOARD!